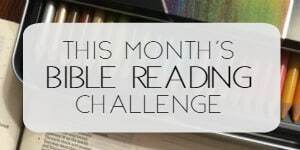 I can hardly believe that we are once again at the end of the monthly Bible Reading challenge! If you are reading Proverbs through with us for the month of February, the plan is one chapter a day, with the exception of the last three days of the month. Although we are finishing up this Saturday, I’ve decided to summarize the final readings in this post. Did anyone find it interesting that these two verses worded so similarly are listed so closely in the chapter? Chapter 22 contains many short, punchy sayings as well. Last month as I was reading, I could see a thread of the importance of choosing friends wisely. This month, I saw another thread- social injustice. Solomon mentions several times how to treat the poor and what the attitude of the rich should be. In chapter 23, the tone of Solomon’s seems to be imploring his son, almost begging him to remember the importance of these wise sayings and reiterating how much he is loved. In chapter 24, Solomon is giving his son some advice on how to use his “people skills.” Choosing friends wisely, overlooking the failure of enemies, and not allowing enemies to have power over you are all topics that Solomon covers in Proverbs 24. I read and re-read Proverbs 25:15 this month. I believe Solomon was telling his son, the younger generation, to have the right attitude when making a request of authority. And don’t give up easily- old folks don’t like change; sometimes it takes them a while to come around. But if you have patience, they can be persuaded when the situation is right. What did you think Solomon’s point was in verse 15? No matter which Bible translation you read, in chapter 26, you may have noticed one very common word: “fool.” This word is difficult to duplicate in meaning, but we know it means the opposite of wise. A fool is someone who is not in the habit of making good decisions. The first two verses of chapter 27 caught my attention right away during this read-through. Do not boast about tomorrow, For you do not know what a day may bring forth. Let another praise you, and not your own mouth; A stranger, and not your own lips. I can’t recall mentioning the issue of pride in our Proverbs summaries, but Solomon does warn his son of the issue of pride multiple times in various ways throughout the book of Proverbs. Neither of the two verses in this chapter use the word “pride” but they certainly describe acts of pride. I believe that chapter 29 is another “people” chapter. Solomon clearly desires for his son to have discernment in business deals, daily conversations, and general attitudes. Each proverb emphasizes building godly character, decision by decision. Which verse from chapter 9 stood out to you? This is an echo of Psalm 18:30 and David is the writer of Psalm 18. Proverbs 31 was not written by Solomon either and yes, there is again a difference in lyrical style. The Proverbs 31 woman is both loved and hated. Held up as the epitome of a Christian woman and yet often thought of as being unattainable, there is much to be learned from her life of living for Christ and others. Wow! I have so loved the Proverbs Bible reading challenge and reading the book of Proverbs twice in a row made it all that more meaningful. Hope you’ll join in; I’d love to hear from you today, both your thoughts from this week’s Proverbs reading and questions, as well as if you’ll be joining us in March for the Bible reading challenge! Thanks for your patience and understanding as we work through the readings together! 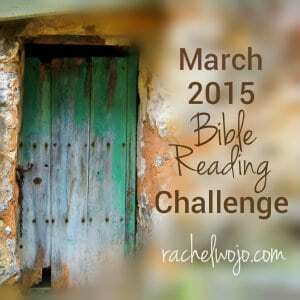 PS: I had planned to post the March Bible reading challenge today (Thursday) and the Proverbs summary tomorrow. But my flight was canceled this morning and I wound up with a lot less work time due to making the switch, etc. I’m at the RE:Write Conference,in Austin, TX,for the weekend. I pray your weekend is full of whatever God has for you! You can click on the graphic above to open a PDF that holds two printable copies of the schedule. Share one with a friend! I’ll be joining you for March!! I just started following you on twitter! I happened upon some or your devotionals and such through http://www.freehomeschooldeals.com and enjoyed reading them. Will be reading with you in March. Havent done a great job keeping up with the reading this month 🙁 but I am definitely looking forward to Hebrews in March 🙂 TGIF!!! I will be part of the March Bible Reading Challenge. God Bless! I just looked at the info on the RE:Write Conference. Wow! What a power-filled schedule! I know it will be rejuvenating as well as informative for you. Kaiser’s “Singing Naked (and afraid)” –that’s what writing for others is all about–putting one’s Self out there. Writing isn’t complete without readers. But will the readers “get” the message? Will they respond to it? What will be their inevitable judgment? So the writing process is, at best, successfully translating to others the pure joy of dancing and singing naked in a warm spring rain, but the fear part can paralyze us into silence: there is danger in putting ourselves out there for all time without any of the protective layers. I joined your site about a month ago. Your honesty and faith are such an inspiration to me. Thank you for going past the “afraid” part and sharing your journey with your readers. The day to day witness of your faith gives us tools for our own journeys. You are such a blessing! 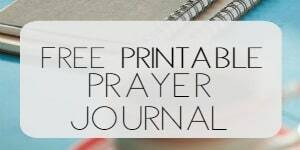 I love your page and am going to join you for the March bible study! You are an inspiration and I can’t wait to do this study and see the other pieces you write in between. Is there a way I can see the summary for proverbs so I can do it separately? Thank you for sharing your faith and your words! Thanks a ton, Kelly! Actually I’m working on a Proverbs summary altogether and hope to make it available in .pdf as a free download very soon. 😉 Thanks for the request! That’s great to hear because I was wondering the same thing! Although I have been receiving your emails for awhile now, this is the first time that I’m going to be taking an active part in reading with you, in March. I am really looking forward to this in depth look at the New Testament chapters. What do I need to do to join in your blog? I have a girlfriend, whom I have been friends with for just over 20 years. 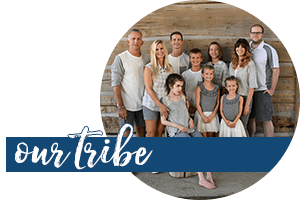 Sadly, both of us kept our spirituality to ourselves; until very recently… I am happy to say I have been telling her about my new favourite author, Karen Kingsbury! Her birthday was last month & I bought her 4 of Karen’s books. Yay- glad to have you join in, Cindy! Simply follow the schedule each day and on Fridays, come by the blog to join in the conversation that occurs in the comments on the Friday post. I try to keep it simple- folks are busy. I just want you to have a system to be in the Word each day! This is my first time and I would like to join in, but I am lost on the instructions. Read a chapter a day from each for the 30 days? No, just read one chapter a day and we will read the books in the order above.There are 31 chapters and March has 31 days. Does that help? Perhaps I should print up a bookmark schedule? I will be joining in for March! How do we join you for the March reading? Is there a sign-up and a check-in or do we just read along? Proverbs was what exactly what I needed and a response to my prayers to start the year. Our clever God knew I had to read it twice and you were there as a wonderful interpreter. Thanks for your comments every week to help me analyse and enjoy the Word. Of course I’ll be joining for March reading plan and wish you have a great time at your conference. no doubt you’ll be a blessing to others as you always are! Hi Rachel, I’ll be joining the March Bible reading plan. I need this discipline. Thanks for your sacrifice you do. I too have loved doing proverbs, twice! I have never read the bible before and I made a New Years resolution to keep it up. I have done yours and Good Morning Girls fairly timely. All that you and others write about the scripture has encouraged me to continue. Each morning I look forward to reading the bible and try to catch the blogs or Facebook for additional comments and insights. Thanks for all that you do and put out there for us. I have thoroughly enjoyed this month’s bible study. In fact my first “ever” bible study  …It’s amazing what you can fit in when you deactivate your social media accounts ;-). My father has Parkinson’s disease and is living full time in a nursing home. It’s been a tough week for us, as he has contracted aspiration Pneumonia and is really struggling at the moment. The verses that spoke the loudest to me during my readings were all of those relating to parents. At first I thought it was just because dad is sick and constantly in my thoughts, but then I realised that it was so much more than that. To cut a long story short – My father was an alcoholic during my childhood and young adulthood years, but he quit drinking before his 50th birthday and a few years later gave his life to God. While he had moved on, it seems I was still harbouring resentment and un-forgiveness towards him for those lost years … Through Proverbs God spoke to me about this un-forgiveness and I struggled with it up until 2 nights ago when I was able to whisper in his ear “I love you dad and I forgive you.” .. The burden that has shifted from me is incredible.. . I can only hope that dads has also been removed. Yes, looking forward to the March Bible Reading Challenge. Thank you Rachel. I discovered your wonderful website on Pinterest. Am taking a Lent break from Facebook, otherwise I would “like” & follow you there! I did not find you in time to do Proverbs, but loved your summary and will go through that book as a result. Well, my intentions are always good, but I seem to fail when I attempt to stay with most Bible studies or reading through the Bible. It’s tough, Dianne! My best suggestion is just to do something small, a little bit, each day. It’s the best way to develop the habit, which, eventually turns into love. My entire post did not show up…I did say I am going to do your March Bible reading plan. I usually start such things, then for whatever reason they fall by the wayside. Am striving to dedicate myself and be intentional, every day. Thank you for your encouragement! I’ll be here in March also! Can’t wait! I loved reading your page. I definitely am in for March bible study. I will be joining you for the March bible challenge. This is a first step back to the relationship I used to have with The Lord. Since my fathers death five years ago, I’ve struggled and struggled hard, but I’m believing God will help me. God bless you and your family and thank you for your beautiful witness. I really enjoyed reading Proverbs with you. It taught me a lot and I have shared it with my children. I am looking forward to March reading list. I’m a bit late, but I’m going to be joining in your March reading challenge. Thank you so much for a wonderful site filled with amazing articles. I am busy reading your ebook 10 Women of the Bible – Beautiful and Brave and am enjoying it so much, I am just reading about woman a day and it’s really wanting me to delve deeper. Bless you Girl! 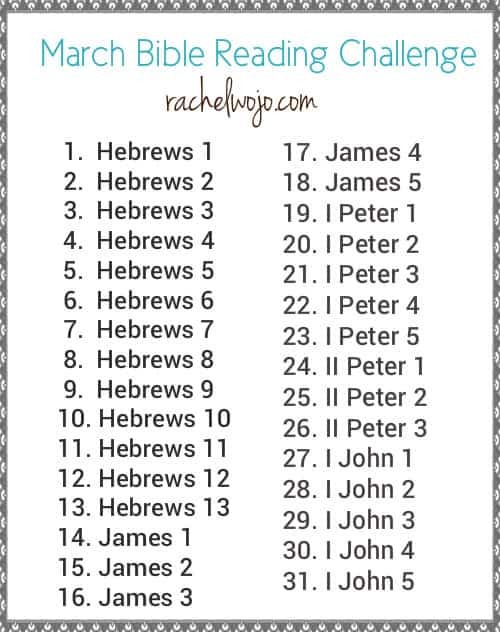 Thanks a ton and I just produced a little schedule for the Bible reading to help us out. 😉 You can take a pic with your phone to make it even easier! I’m starting very late , but I believe I can get caught up . Thank you for your wonderful website , you are a blessing to many . Glad to have you, Linda!